In the era of Cloud technology we have endless places to store our information, documents and digital keepsakes. From Dropbox to Box and more private options like SF based Spideroak we’ve found that sometimes we can’t remember where we stored something! If you’ve found yourself in that very same situation, we may have found you an answer. CloudGOO. CloudGOO is a newly released Android app that gives the user the ability to access all of their cloud storage spaces from one easy to use platform. However it goes one step beyond just aggregating them, simply access your accounts and use your information no matter where its stored. 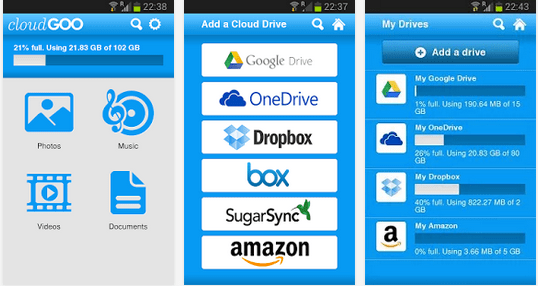 Currently the app is compatible with a number of popular cloud services such as Google Drive, OneDrive, Dropbox, Box, SugarSync, and Amazon’s Cloud Drive. You can predetermine which file types will be uploaded into each drive, or decide on an individual basis, CloudGOO truly gives you limitless options on how to manage your drives and will let you know exactly how much space you have left on each one. We are so excited to finally have the ability to access all of our cloud storage spaces on one device and on one platform! Event planning is such a collaborative and fast paced process, and sharing information with collaborators, clients and vendors with these programs is absolutely necessary. Now, we can access a spreadsheet on one storage platform, while comparing it to another invoice all on our android device and on the go! Don’t worry, an iOS version is quickly approaching. Would you use CloudGOO? Let us know in the comments section below, or on Facebook and Twitter! Spring time is in full swing, and at ABCey we have the latest trends to keep your events fresh and in season! Here are our 5 favorite spring time event trends! 1. Mix and Match: From bold prints to textures, mixing and matching is a great way to brighten up your event decor and usher in the spring time! Try mixing white hot textures with bold animal prints, or even mix bold colors to brighten up any event! 2. Radiant Orchid: The pantone color of the year is a great spring time color. 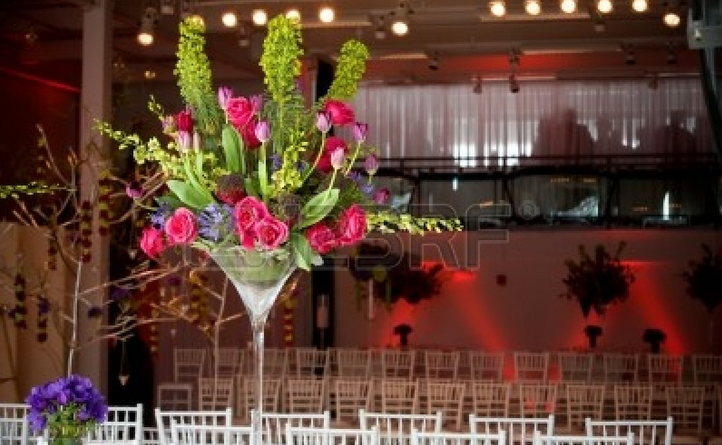 Play off the wonderful blooms of the season and bring this bright, floral color to all aspects of your event! Small or large doses of this beautiful orchid color is a beautiful and elegant way to bring a touch of spring time to any event! 3. 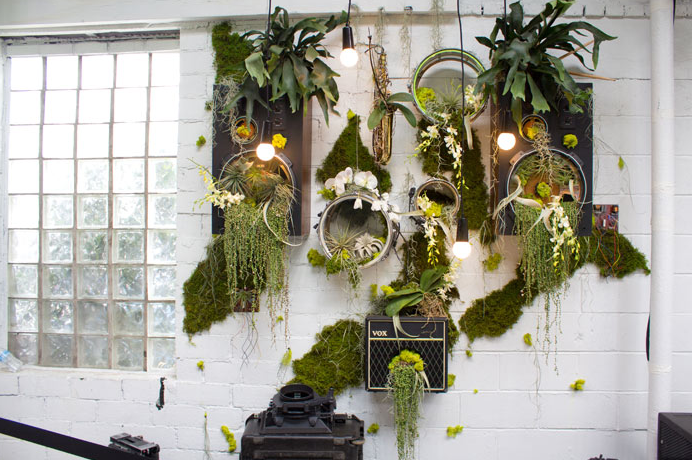 Green Room: Bring the outdoors in! The biggest thing we noticed at SXSW? Indoor greenery. Connect your event to the outdoors by creating intimate gardens and brightening up your event space. We absolutely loved this wonderful green wall! 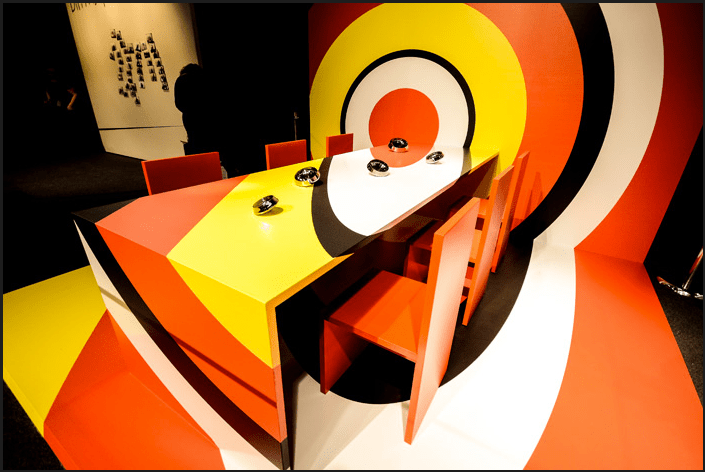 Its a springy, beautiful way to blur the line between indoor and out! 4. Go Retro: From neon and geometric shapes to old fashioned, marquee signage theres no better way to freshen up a spring party than by bringing back retro! 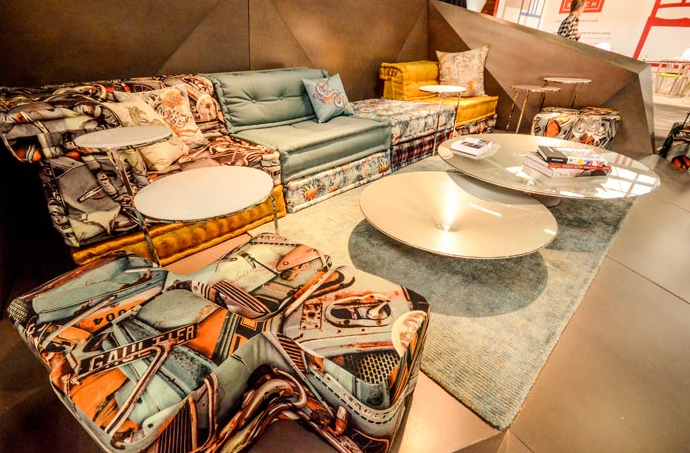 We love the old school typography and patterns that are making appearances everywhere! What’s your favorite retro look? 5. Bold Florals: Go bold with florals this spring! Bright and structured florals are a must for this spring and summer. Take a page out of the runway looks and match stunning textured flowers with architectural, angular greenery and settings. It will surely be a statement piece for any occasion. These fun, fresh trends are the perfect way to set your event apart from the rest! What’s your favorite trend to excite your guests and ring in the spring with?! Let us know in the comments below or on Facebook and Twitter! Lately, we’ve been finding it hard to sift through advertisements, sift through pages and find that one piece of inspiration for our events, outfits and crafts. That’s when we found Wanelo. Wanelo has everything your heart could desire, right there, in one place, without any clutter. 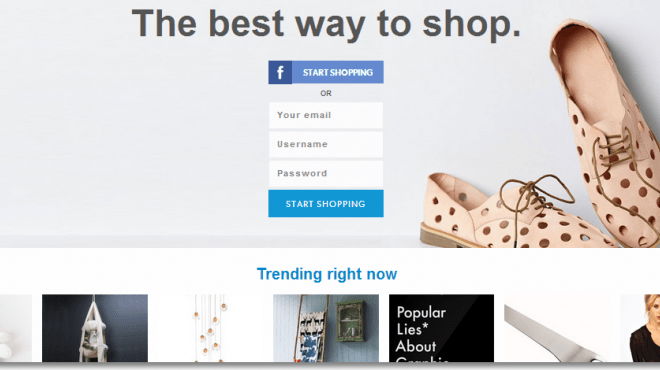 Wanelo recently won at the Tech Crunch Crunchies in February for best E-Commerce startup, and we couldn’t agree more! 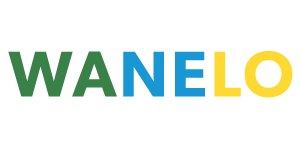 Founded in 2010 by Deena Varshavsakaya, Wanelo’s goal is to bring everything its users would desire in one spot, without the advertising and without clutter. It stands for Want, Need Love and we want need and love pretty much everything about Wanelo. Wanelo allows users to shop, set up shop, share stories, create contests and spread inspiration through an easy to use web community. We’ve found some of our latest inspirations at Wanelo, have you? Let us know in the comments section below, or on Facebook & Twitter! It’s the first day of Spring and we can’t wait to celebrate by attending some great events this weekend! As usual, there are tons of awesome things going on in the Bay Area. At ABCey, we did some digging and are bringing you our top picks! FEATURED EVENT: 7th Annual Disposable Film Festival | Thursday, March 20th | Castro Theatre | 10pm | Opening Night kicks off with a festival favorite, our Competitive Shorts Premiere! The evening showcases a curated selection of the best of thousands of disposable films made on a variety of devices from around the world. All films are rated by an expert panel of judges. Fans get to vote for their favorite films for the Audience Choice Award! Be the first to see this year’s collection of the best disposable films made on everyday devices like cell phones, pocket cameras, and webcams. 1. Magnolia Cocktails | Thursday, March 20th | San Francisco Botanical Garden | 5:30pm | Celebrate the first day of Spring by coming out to enjoy evening cocktails garnished with magnolia petals in a relaxing secluded garden! 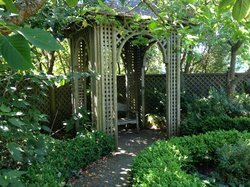 Wander through the lovely, hidden nooks of the Exhibition Garden, and learn more from the docents about the Garden’s magnificent magnolias. 2. 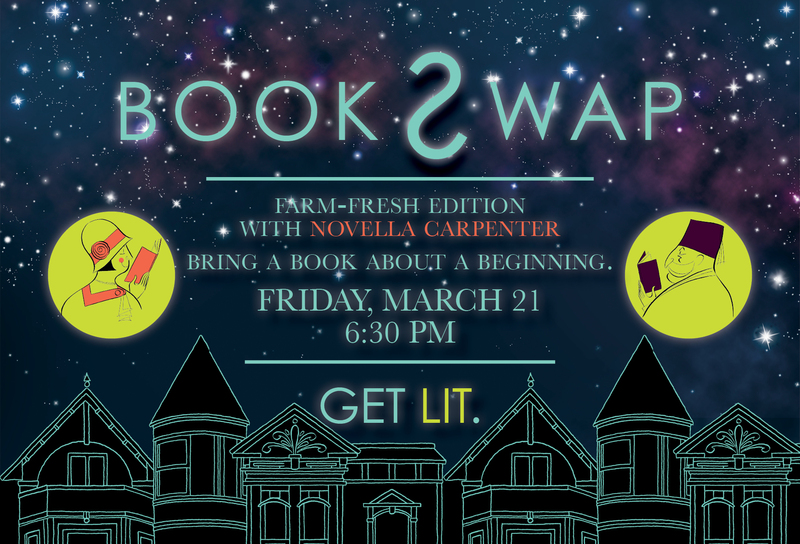 BOOKSWAP: Farm Fresh Edition with Novella Carpenter | Friday, March 21st | The Booksmith | 6:30pm | Join the first Bookswap of 2014! Never been to one before? Here’s how it works: You pick a book you love. The Booksmith closes the store early, opens the wine, serves some dinner, hands you a coupon, and turn you loose inside the bookstore with 30 of your new friends. At the end, there will be a big, rowdy, white elephant-style swap. You’ll part with your book, and leave with a book someone else adores! You will be joined by Novella Carpenter, who’s memoir Farm City has been chosen for One Book and One Marin. Get the chance to ask her any questions you’d like, and about her new book Gone Feral coming out in June. 3. 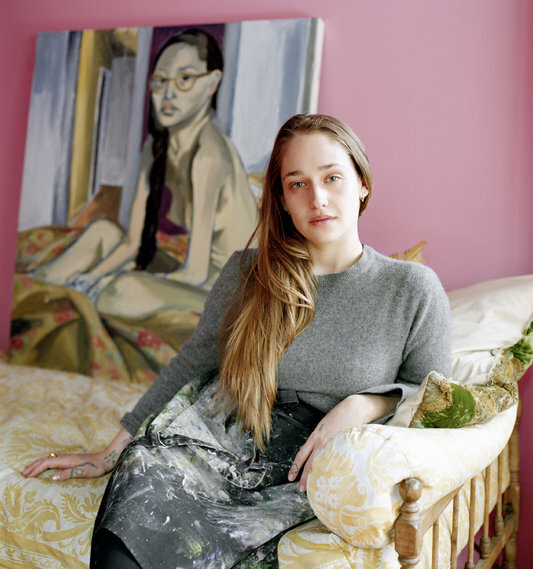 Jemima Kirke: New Paintings | Friday, March 21st | Fouladi Projects | 6pm | Fouladi Projects Gallery is pleased to present new portraits of women by painter and RISD alumni, Jemima Kirke. Jemima has by now become widely known for her role as “Jessa” on HBO’s series “Girls”, but her intrinsic identity is as the artist in her studio, painting idiosyncratic oil on canvas portraits of friends and family. She was recently named one of Forbe Magazine’s “30 under 30” for Art and Style! You don’t want to miss out on her inspirational work! 4. 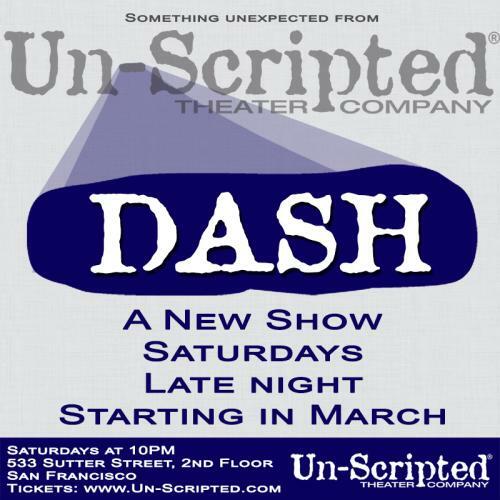 DASH | Saturday, March 22nd | Un-scripted Theater Company | 10pm | DASH is a brand-new late night improv comedy show from the San Francisco improv veterans Un-Scripted Theater Company. It’s a hour-long madcap romp, incorporating your suggestions into a fast-paced, no-holds-barred, completely original show each week! Come early and enjoy a wide variety of microbrews, sodas, and snacks in the Salon across the hall. This event will take continue to take place every Saturday! 5. 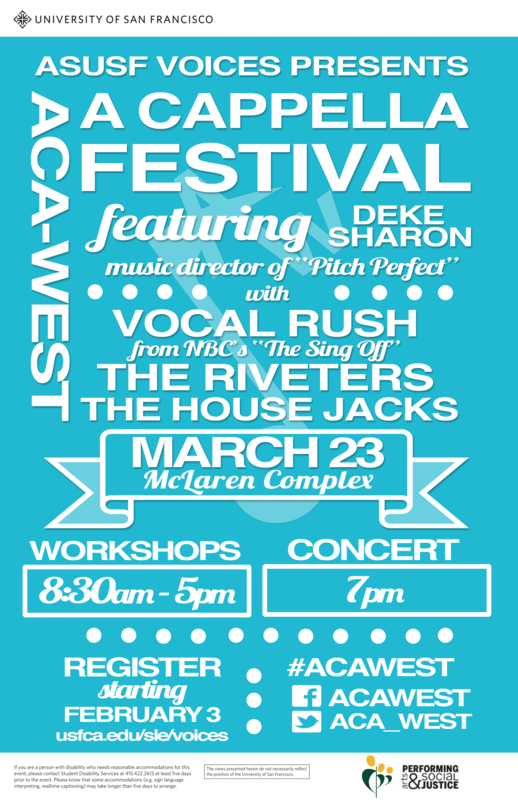 Aca-West A Cappella Festival | Sunday, March 23rd | University of San Francisco | 9am | This awesome festival is hosted by ASUSF Voices and features Deke Sharon, Vocal Producer for Universal’s hit film, “Pitch Perfect” and NBC’s “The Sing Off.” Workshops will be held earlier in the day covering a broad range of topics like vocal percussion, song writing, vocal arranging, and behind the scenes of Pitch Perfect and the Sing-Off. The festival will also feature a concert in the evening with performances by Vocal Rush (from “The Sing Off”), The Riveters, and The House Jacks. How will you choose how to celebrate the beginning of Spring?! Which picks were your favorite? Let us know in the comments below or on Facebook & Twitter! In today’s events world, we are always looking for ways to engage event attendees. Maptiv8, founded by Seth Familian of Familian&1, is a new private directory visualization platform for students, alumni, event attendees, and supporters. The Map Admin sets branding and adds the member list, which enables you to visualize the list in an appealing and simple way. 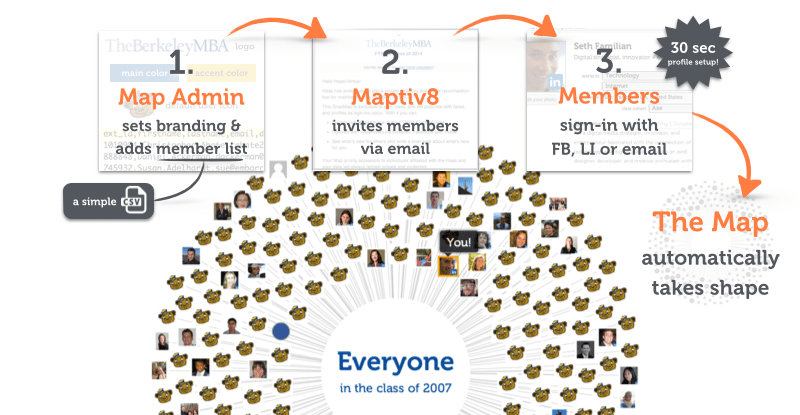 Maptiv8 will then invite members via email, and reveal affinities within the community. 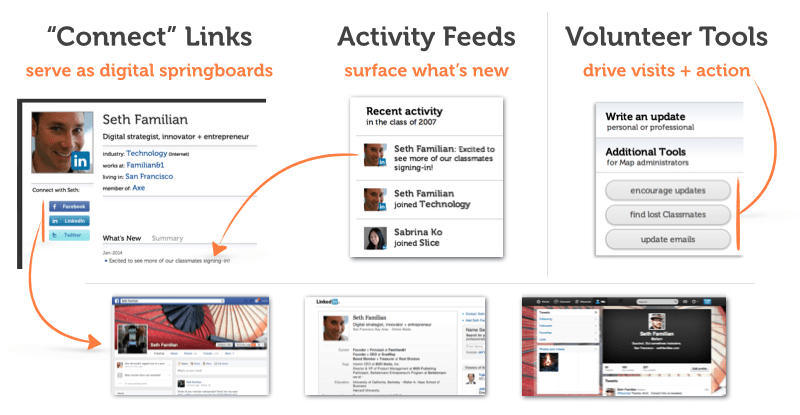 Once members sign in with Facebook, LinkedIn, or email, the map will automatically take shape! This ignites connections and actions among the Map members. Some of Maptiv8’s powerful features are an easy 30-second profile setup, activity feeds and profile notes, up to three custom affinity groups which can be based off of cities, industries, or companies, campaigns and events, and volunteer tools to drive engagement. What’s great about this platform is there are three different options that can be used based on the type of groups you are involved with. GradMap is designed for students, alumni, faculty and staff. OrgMap is for members and supporters of both non-profits and for-profits. RSVPeeps is for attendees of events and conferences to utilize, which will enable event networking! The pricing is straightforward and aligned with the number of Map members. Mini is used for up to 100 members, Midsize is up to 500 members, and Mega is up to 5,000 members. We love Maptiv8 because it has so much versatility and adheres to audiences made up of different groups and sizes! Would you use Maptiv8 to engage your attendees?! Which features do you like best? Let us know in the comments below or on Facebook & Twitter! The incredible advances in technology bring value and versatility to the event industry. At ABCey, we love keeping up on the latest in the tech world! While 2013 was filled with innovation, we can expect even more in 2014. Here are the top event tech trends to keep an eye on in the year ahead. This blog post has been adapted from George P. Johnson’s Kevin Jackson, Adding Value’s Randle Stonier, and TFI Group’s Simon Maier. 1. 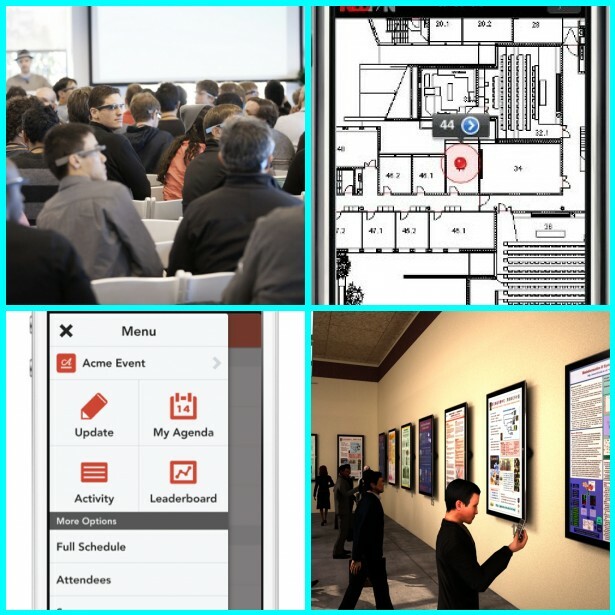 Event Apps: These innovative platforms cover everything from event itineraries to delegates being able to download files relevant to presenters, and attendees having the ability to directly interact with event speakers! 2. Connected Technology: Clients used to base their budget off of the number of guests they wanted to attend their event. In today’s world, advances in technology allow events to reach so many more people beyond the guest list. 3. Google Glass: Wearable technology, specifically Google Glass, is going to make a big impact on events this year. It will encourage planners to make event experiences more personal. 4. Tailored Social Networks: Public social networks will continue to be used to generate buzz for events. There is a growing number of tailored social networks that have features to connect people before, during, and after an event! 5. E-Posters: With the reduction of costs and advances in e-poster technology, the interactivity and versatility will be a hit for 2014 events! 6. Live Audience Engagement: Mobile apps and SMS texting can now enable guest conversations to be linked directly through to the podium, allowing the speaker to respond to inquiries. This can continue even after the session is over! 7. IPS and Geofencing: Indoor positioning systems lend themselves to plotting where you are in an indoor environment. Geofencing creates a virtual boundary of space so delegates can be given a route to various stands or booths in a venue. 8. Advanced Digital Display: In the events space, we can expect to see various monitors – one could display real-time news and another with content from the event, tied together with software that allows you to change over at the flick of a switch. 9. Spread of Content: It is common for organizers to set up portals such as live streaming and webcasting of live event content for larger audiences to have access to the valuable material. This will continue to be a trend in 2014. 10. Mobile App Integration: A key trend in 2014 will be incorporating more features into mobile apps, such as scientific abstracts, social networking, and interactive content! 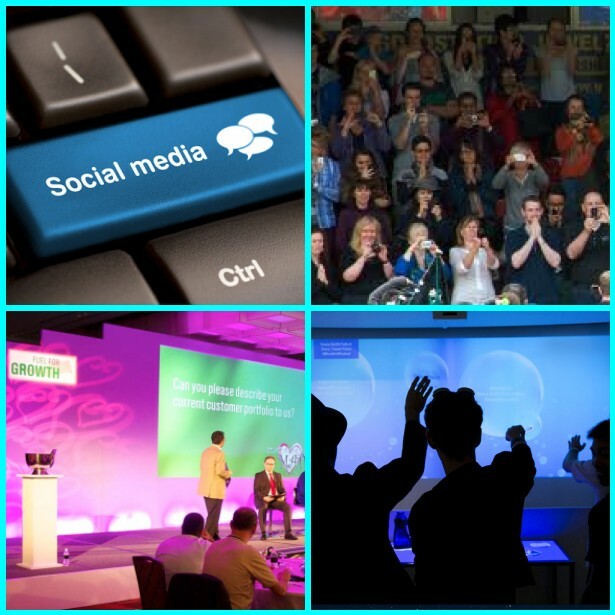 What do you think of the top event tech trends for 2014?! Which do you hope to see at events? Let us know in the comments below or on Facebook & Twitter! With the rough part of the week behind us, we’re already making weekend plans here at ABCey! From Pi Day to St. Patricks Day and everything in between- we’ve got you covered. Take a look at some of our top picks for the weekend! See you there! FEATURED EVENT: LepreCon 2014 | Saturday March 15th | All Day | If there are two things San Francisco loves, it’s day drinking and crazy costumes. Imagine 1,000 people dressed like leprechauns, partying all day. 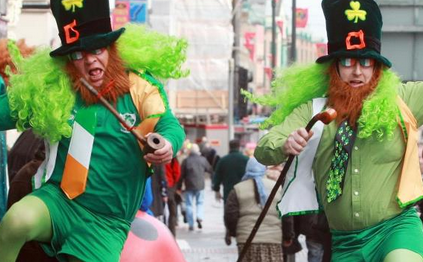 Hailed as the spring SantaCon, Slone’s LepreCon is an open bar day party to dance and celebrate all things Irish. Come out and enjoy the fun, but don’t forget to buy your ticket here. 1. Pi Day | Friday, March 14th | Exploratorim | 10am-5pm | The 25th Annual Pi Day is one of the most irrational days of the year!! Come out and celebrate the irrational number and enjoy everything from a Pi Parade to real life servings of delicious Pi! And what makes it all the more sweet? Free admission for all on the most irrational of days! 2. 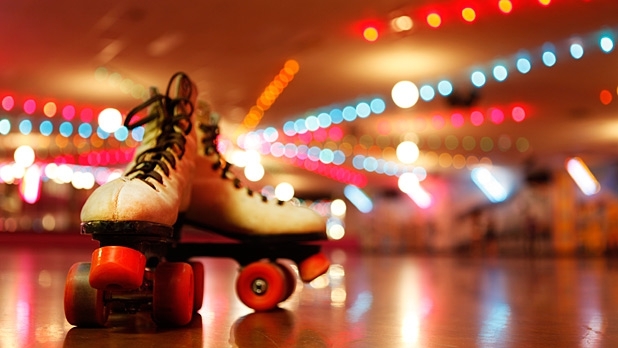 IndieFest Roller Disco Party | Friday, March 14th | Women’s Building Auditorium | 8pm- Midnight | Beneath the spinning disco ball is a blur of furry boots, sparkly blue wigs, and rainbow tube tops as roller rink pros skate through a kaleidoscope of colored lights. For $10, you can join the costumed skaters gliding around the room as D. Miles Jr. spins tunes by funky favorites like Michael Jackson and James Brown. If your lucky, towards the end of the night, you might get to learn some moves from the pros! 3. Off The Grid | Friday, March 14th | Fort Mason Center | 5pm-11pm | The food trucks are back! Head over to the Fort Mason Center on Friday night for a gathering of some of the best food trucks around! Let your inner foodie pick and choose from a number of different trucks and cuisines and start your weekend off right! 4. Arbor Day Eco-Fair | Saturday March 15th | Ella Hill Hutch Community Center | 9am-noon | Show your love for the city and join the 40,000 people who already have volunteered over the past 13 years by participating in landscaping and gardening projects, painting over graffiti and cleaning up litter in the neighborhood. 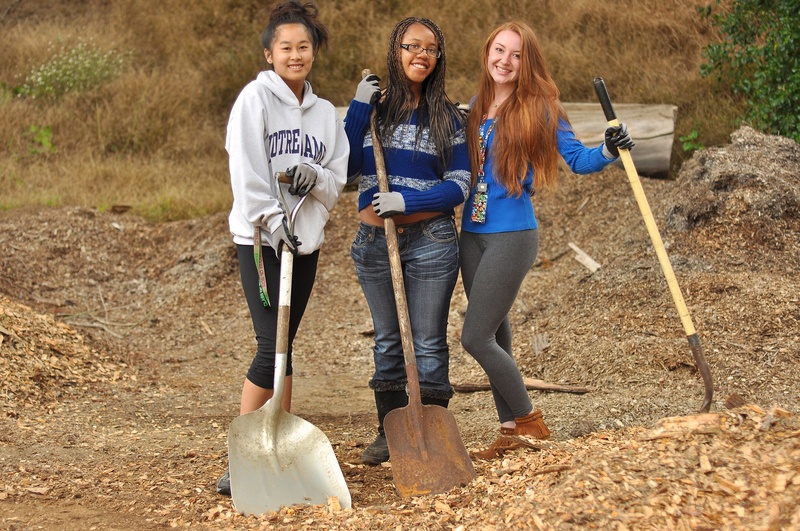 Activities include tree planting workshops, carnival games, a petting zoo and more! We love getting the city together to keep our home clean! 5. 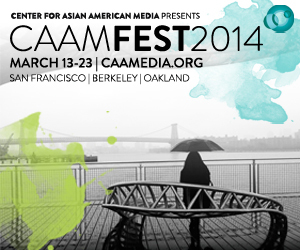 CAAMFest 2014 | Daily until March 23rd | Multiple Locations | After 30 years of being known as the San Francisco International Asian American Film Festival, the Center for Asian American Media’s annual all-things-media extravaganza is now entering its second big year under the phonetically pleasing name of CAAMFest. Taking place at multiple locations around the Bay Area there’s plenty of good stuff regardless of what side of the water you’re on. What are your plans for the holiday weekend? Let us know in the comments section below, or on Facebook & Twitter! As an event planner, I often spend long hours on my feet and staying energized is important! I was excited to receive a call last week from Teresa at CAN CAN Cleanse asking me if I wanted to try their new “Drink +Eat” Ra-Ra Cleanse. I am a big fan of juice cleanses, as they are especially great after having over indulged in unhealthy foods and alcohol, or even when you just feel the need to re-boot and kick-start your system. I often recommend these to brides-to-be, since they are also a quick way to slim down or jumpstart a healthier lifestyle! For those who don’t know CAN CAN Cleanse, it is a nutritional (mostly liquid) cleanse program that gives your body a break from the stress and toxins of your on-the-go lifestyle. 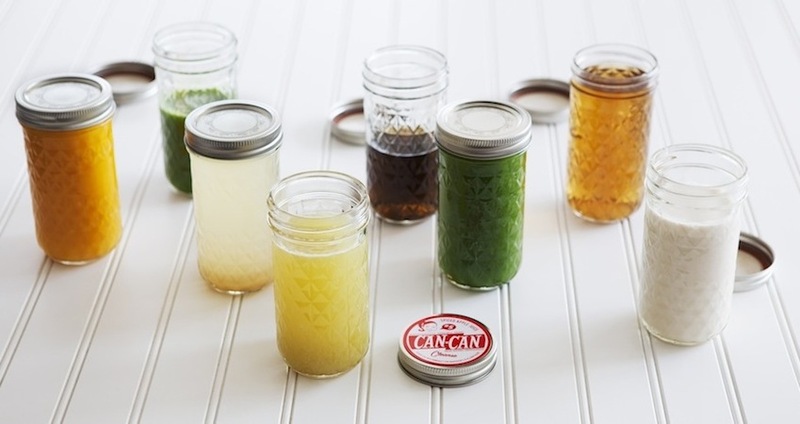 Their are a variety of different cleanses offered through CAN CAN, such as the Power Cleanse, the Green Cleanse, and now the Ra-Ra. Most cleanses have options for 1-Day, 3-Day, or 5-Day, which is great for beginners and those that are more advanced cleansers. 9:00am #2 Green Juice – Cucumber, Celery, Parsley, Kale, Cabbage, Broccoli, Fennel, Spinach, Romaine, Lemon, Ginger, Apple. I prefer mine without the apple as I’m not a huge fruit juice person, but for most this helps cut the green taste. 2:30pm #5 Spiced Apple Juice – Apple, Fennel, Cinnamon, Nutmeg, Cloves, Filtered Water. I switched this one out for the nut-milk. 7:00pm #7 Detox Salad – Chicory, Spinach, Lacinto Kale, Carrot, Cucumber, Celery, Radish, Apple, Quinoa, Flax, Chia, Hemp Seed, Acai-Lemon Dressing (Champagne Vinegar, Lemon Juice, Acai, Ginger, Shallots, Cayenne, Maple Syrup, Olive Oil) I did this one for lunch and did the soup for dinner. I absolutely loved this cleanse and hope you give it a try. The juices are all great and the soup and salad are delish! My faves? The Winter Orange soup and the Nutmilk are insanely good, and the salad is enormous and yummy! Happy CAN CAN’ing and be sure to follow them for inspiration and updates on Facebook, Twitter , Pinterest, Instagram, or Youtube! What do you think of the CAN CAN Ra-Ra Cleanse? Would you try it? Let us know in the comments below or on Facebook or Twitter! 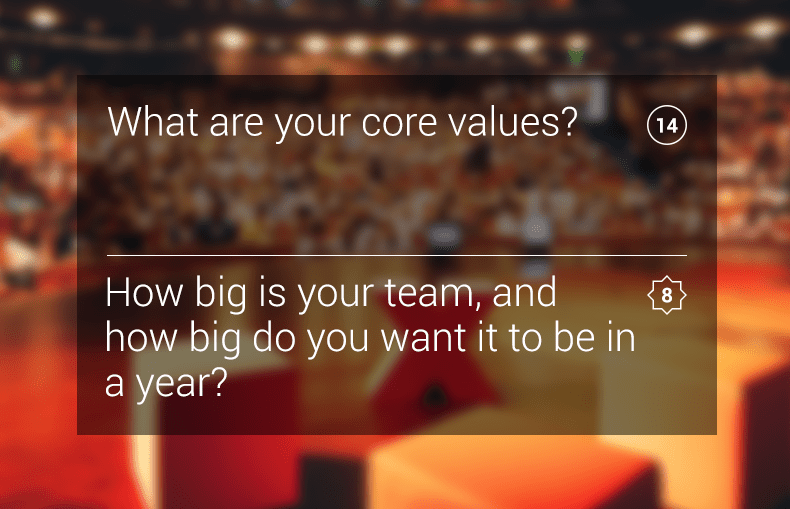 We’ve been longing for an event app that can keep us in touch with our guests, not just stream their comments. How can you adjust and mold your event as it unfolds and caters to your audiences’ needs and questions? Here’s an event website and application that does just that! This is Sli.do, a new application that helps event planners connect with their audience in real time, as fast paced as today’s world- ever changing and constantly moving. 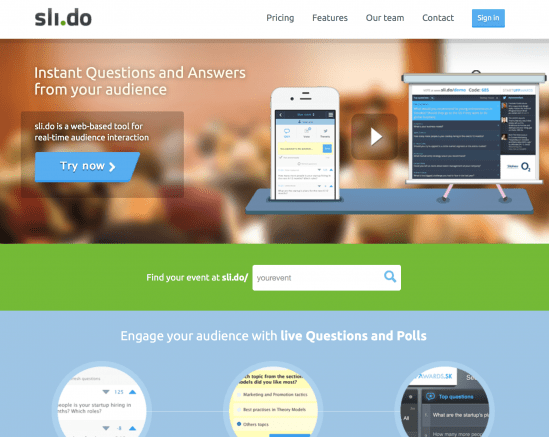 Sli.do is a way for audience members to ask questions, respond to polls, view social media streams and more. It also gives event planners the power of analytics throughout the event, allowing them to moderate, or promote sponsors. Check out the video for it here. We love that it is compatible on almost any device, and all that is needed is Wi-Fi for unlimited access so that tools and communication lines can connect your event to its guests! Sli.do is free, giving you the ability to create events as well as its core functions, but can be expanded and customized with various pricing packages. It is such a handy tool for those large events, conferences and trade shows that it seems like a great investment either way! With thousands of events already under Sli.do’s belt, the sky seems to be the limit in terms of customization and how far they could go in changing the event invite industry! 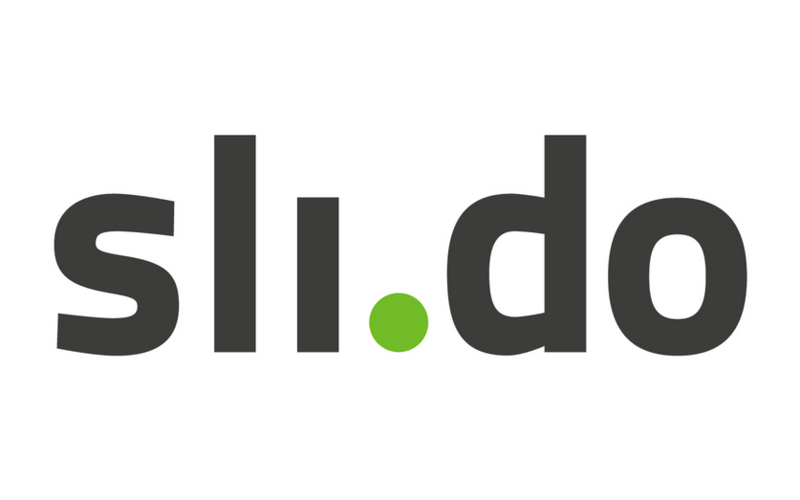 Have you tried Sli.do? Let us know in the comments below or on Facebook & Twitter!